Buyers of electric cars and plug-in hybrids are being kept in the dark as the Department for Transport refuses to reveal details about the future of the Plug-in car grant. Introduced in 2010, the Plug-in car grant was launched to encourage car buyers to switch to alternative-fuelled vehicles, initially offering £5000 off the price of a new EV or PHEV. Since then more than 140,000 cars have been bought using the scheme, with £579m of taxpayers money spent. Currently, car buyers can claim up to 35 per cent off the purchase price for an electric car, with the Government providing a maximum grant of £4500. However, the current scheme officially ended in April 2018 and despite promises of an announcement, there has still been no word from the Government about what amount - or structure - the Plug-in grant will now take. A recent Freedom of Information request to the Department of Transport from HonestJohn.co.uk was met with short shrift, with few questions on the future of the grant answered. 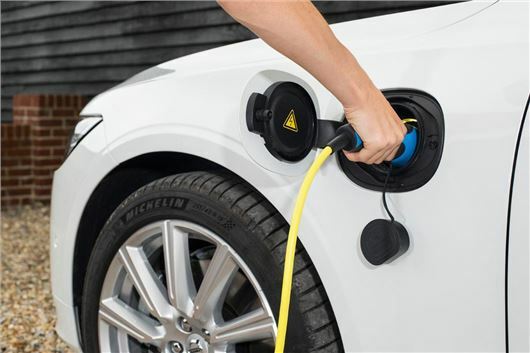 Despite repeatedly informing us in mid-April that 'Plug-in car grants are under review and we expect to make an announcement shortly', we have still yet to hear anything. When asked what the maximum and minimum grant figure after April 2018 would be - and how much of the Plug-in car grant budget remained - the DfT refused to give us an answer. It added that 'as budgets are subject to change through the year, releasing this information, which could negatively impact investment, is not seen as desirable nor in the public interest'. But this is of little help to buyers who are planning to buy an EV or plug-in hybrid in the next few months, with no indication as to whether the grant will stay as it is, increase or indeed drop. In late 2017 it was announced that a further £100 million had been guaranteed to extend the Plug-in car grant to 2020. But despite the Government's push towards alternative fuelled cars, electric and hybrid vehicle uptake has actually fallen by a third since the start of 2018 - and the lack of information about the new rates of the Plug-in car grant will only exacerbate that. Official figures show that fewer than 5000 electric cars have been sold since the beginning of the year while EVs, hybrids and PHEVs currently account for less than six per cent of the UK car market. The lack of information from the Department of Transport is baffling given the Government's move to ban the sale of all conventional petrol and diesel cars in the UK by 2040. In fact, some MPs have called for this date to be brought forward. Indeed, in the autumn 2017 budget, the Government announced a further £400 million would be invested in improving the UK's electric car charging infrastructure. It also promised to electrify 25 per cent of all cars in central department fleets by 2022. Yet another example of the Mrs. May 'led' government pushing an important descion into the long grass rather than doing some work and making a decent choice. And they wonder why they aren't romping away in the polls and in elections of late? Jobs worth in DoT have to get off their backsides and make submissions to the Minister, can't blame the Government when civil servants aren't doing the work. Note that according to the DfT i.e. Minister for Transport who sets policy within the department, it is believed agencies are best placed to do their own workforce planning and that "there is no need for an overall plan". So there you have it, planned in chaos IMO, don't expect any decision on plug-in car grant any time soon.